Jesus said He “did not come to be served, but to serve” (Matthew 20:28). This act of serving is one of the greatest virtues of the Christian faith and is expressed in numerous parables, teachings, and commandments. 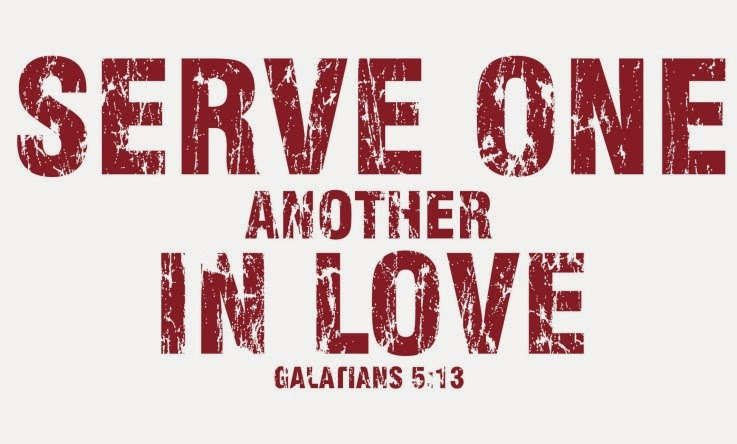 Paul encouraged his readers to “serve one another in love” (Galatians 5:13). In the context of work, he told employees to “serve wholeheartedly, as if you were serving the Lord and not men” (Ephesians 6:7). Peter said we should use our gifts “to serve others” (1 Peter 4:10). He encouraged church leaders to be “not greedy for money, but eager to serve” (1 Peter 5:2). John reminded us that our ultimate purpose is to “serve God” (Revelation 1:6; 5:10). Serving people is a foundational Christian teaching. Jesus taught what has been called the Golden Rule: “Do to others what you would have them do to you” (Matthew 7:12). Serving people, by treating them the way we desire to be treated, tends to produce reciprocal action. If you treat people right then they will tend to treat you right. Furthermore, there is an internal liberation that occurs when we serve others that strengthens us and makes us better equipped to deal with the challenges of life. Finally, a long-pending investment in Skybay Thailand has been completed. Praise the Lord! This marks the first investment for SfK Ministries. It has taken a lot longer than we anticipated primarily because of the complex regulatory requirements. We are deeply grateful to God for His guidance. We are very close to completing SfK Ministries second investment. There are a few remaining paperwork to be done, but we are making progress. On August 3, SfK Korea held its first board meeting. During this meeting, additional capital has been pledged to be injected strengthening the capital base. Also, the board resolved to run the first BAM Fund by September 30. Although the size may not be as significant as we hoped for, we agreed to take it as the portion of God's grace allotted for SfK Ministries at present. For His grace, we are grateful. If you are interested in participating in this BAM Fund, please let us know by sending your interest to wson@sfklife.org or jlee@sfklife.org prior to September 30. SfK Shared Accounting Service (SAS) - We have selected a cloud-based accounting application; the basic chart of accounts has been established; and the user's manual is currently under development. This SAS will be made available to missional businesses at an affordable cost. SfK Webinar Platform - SfK Ministries is developing an affordable, yet fairly powerful, webinar platform. This webinar platform will be used to educate missional businesses after their basic boot camp training of SfK MBA. August 20-24, 2017: Freedom Business Alliance Forum, Chiang Mai, Thailand. Jeffrey plans to attend this forum where many freedom businesses help provide economic solutions to economic problem of human trafficking. He will provide consulting and mentoring services for freedom businesses. Please pray that the forum will strengthen and empower freedom businesses to free the people trapped in human trafficking. September 11-15, 2017: K-BAM Consultation, Mt. Sorak, Korea. This gathering of BAMers has produced significant outcomes over the past several years. Peter Lee, CEO of Skybay Thailand, will attend on behalf of SfK Ministries. Please pray that this year's event will be even more fruitful than before. September 14-16, 2017: TBN of Asia Conference, Jakarta, Indonesia. Jeffrey plans to attend this conference in hopes to make important contacts and develop relationships with missional entrepreneurs who are making significant transformation impact in the lives of people, particularly in Indonesia. Please pray that the conference will bear much fruit in honoring God and empowering transformation businesses in Asia. September 15-17, 2017: BAM Conference, Dallas, Texas. A few board members of SfK Life will attend this growing conference. If you are interested, please register through www.bamconference.com. Please pray that many people will be enlightened about the effectiveness of BAM and will commit to engage themselves in this worldwide movement. September 18-27, 2017: SfK MBA, Chiang Mai, Thailand. This bootcamp training for missional entrepreneurs draws interest from many industries and several countries. It is open to start-ups, but more appropriate for missional entrepreneurs who have some field experiences. If you are interested in attending this MBA, please request the application by sending an e-mail to plee@sfklife.org or peter.lee.tmc@gmail.com. Please pray that this important training program will be well prepared and effectively run to produce Kingdom impact in the hearts and minds of missional entrepreneurs. October 30-November 2017 SfK MBA, Kigali, Rwanda. This will be an MBA held exclusively for missional or potential missional entrepreneurs in Kigali Diocese of Rwanda Anglican Church. Please pray that it will produce future trainers in this important reforming country of Rwanda and beyond. Until we have more updated SfK News, may the good and faithful Lord bless you richly so that you may become a greater blessing to many in need around you!